May 05, 2016 in Career ~ 2 min read. I never really thought I would start a blog. Don&apos;t get me wrong, I wanted to. I&apos;m an avid consumer of other people&apos;s blogs and podcasts. My RSS feed is always filling up with the latest .NET news from a myriad of developer personalities. The trouble was that I never felt that I would be able to match up to the level of quality that I see every time I open my inbox. That level of personality, with such a huge following was just so daunting that I always balked at the first step - actually getting anything live. I procrastinated to such an extent that I never chose a platform, a theme, a topic, anything! How many people here have a blog? About 50% of the room raised their hand. How many people have blogged this year? How many people have blogged in the last month? How many people have blogged in the last week. Just one hand remains. One. That&apos;s when I realised how much I was sabotaging my own career by never just getting on with it and starting to write. Previously I would have been in the bottom half of that room. If I could just blog consistently every week, then eventually I&apos;ve climbed to the top! No longer would I be one of the multitude of &apos;ordinary&apos;, &apos;average&apos; developers. Just like that I&apos;m conspicuous among my peers. For me, what previously seemed completely unobtainable, being distinguished, suddenly seemed like an achievable goal. So as soon as I got home, I signed up for John&apos;s free email blogging course. That course has been exactly what I need to finally breathe life into this site and give me the last push to get it live. It&apos;s going to be a slow burner - writing once a week is all well and good but you have to keep writing once a week. I&apos;m sure lots of those developers started off all rosy eyed with the best of intentions but they slipped back into the masses. I&apos;m hoping that having that image in the back of my mind is going to keep me honest and committed! I&apos;m not expecting a mass influx of traffic to this site, but just writing consistently has so much potential for opening doors down the line that it&apos;s crazy not too. So if you haven&apos;t already , I would really encourage you to head across to John&apos;s Simple Programmer website and check out all the great content he has on there. 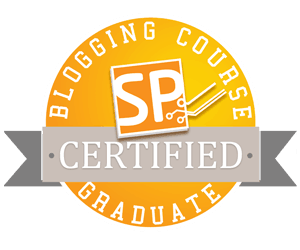 And don&apos;t forget to sign up for the blogging course!